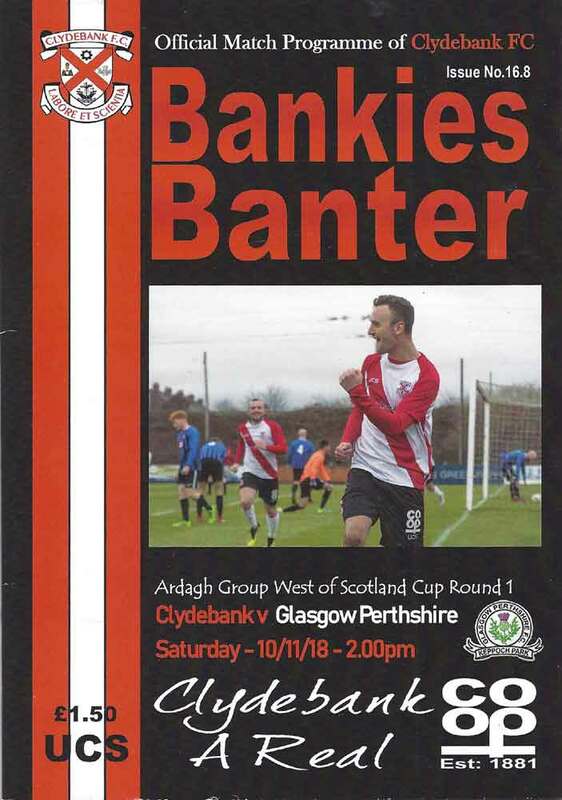 As good as they were last week, the Bankies were equally as bad today in the West of Scotland Cup. 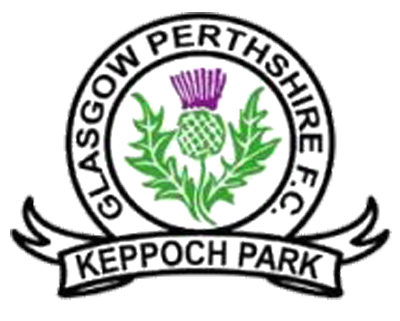 Most people were expecting a comfortable, if not comprehensive defeat of a Glasgow Perthshire side who are two divisions below Clydebank and have been on the wrong end of some hammerings lately. However, the Bankies contrived to chuck a 2-1 lead away with only 12 minutes to go, and the winning goal deep into injury time was embarrassing for Liam Rowan and Scott Morrison . Despite Little and Black still missing due to injury, Kieran McAnespie decided to bring in one or two fringe players with Alexander and Jack McClair both in the starting eleven that appeared to line up in a 4-3-3 formation. Perthshire signalled that they were up for this match as early as the first minute when Rowan was dispossessed and the ball played out wide to Bodman who shot wide mainly thanks to a horrible bobble as he went to strike the ball. The Bankies controlled the match after this early scare and the Perthshire defence were looking vulnerable particularly from the pace of Hepburn who was probably the best player in the home ranks. However, it took ten minutes before the Bankies had a useful sight of goal. Shelvey played the ball from the left to the edge of the box to Alexander, but the midfielder hooked his shot over the bar. It didn’t take too much longer for the opening goal to come. One of Hepburn’s foraging runs into the box was ended when Munro took his legs away from him giving the ref an easy decision to make. Stevie Higgins took the spot kick, but it was a poor effort that was stopped by Calder. Fortune smiled on Higgins though as the ball rebounded straight back to him and after a careless touch, he prodded the ball into the net. In truth, if the Bankies had taken their chances in the ensuing period then this may have turned out to be a comfortable win. Hepburn managed to strike both posts. The second chance in particular should have been buried as he was clean through on the goalkeeper. Hepburn also had another very decent opportunity when he was set up by Dooley who played a low cross from the right wing. On this occasion, Hepburn hit the ball first time from just inside the box but it flew over the bar. After half an hour the Bankies inexplicably lost their grip on the game. The pressing which has been such a feature in recent weeks was strangely absent, and Perthshire were finding holes in lots of areas of the pitch. They managed to win a corner from one of these advanced positions and it was from here the equaliser came. The ball was flighted across the six yard box. Morrison looked like he had misjudged the ball and it was going to go over his head, but at the last second he managed to get his fingertips on it. He only managed to direct the ball to Mussa who volleyed the ball smack in the middle of the goal to bring the sides level. Little over five minutes later and Perthshire almost turned the game on its head when Mussa waltzed past two defenders on the right bye-line. From here he picked out Graham at the edge of the box, but his shot was wild and missed the target by a fair distance. McAnespie reacted at the break by taking off Jack McClair for his brother Cammy, thus returning the formation to a 4-4-2. However it was Perthshire who created a chance after just 25 seconds, when Bodman beat Dooley who was having a bit of a nightmare, before flashing a shot across the face of Morrison’s goal. In fairness, the Bankies continued to enjoy the best of the possession and created the bulk of the chances with Perthshire only looking dangerous on the break. However, there was definitely a lack of intensity and tempo from the Bankies play. The chances that came the Bankies way were never truly clear cut and Calder dealt with anything that was on target fairly comfortably. Shelvey had a header miss the target. Higgins had two twenty yard efforts in quick succession that made the goalkeeper work and Hepburn lifted one over the bar from a decent position. Alexander also had a good effort from the edge of the box pushed away by Calder. The Bankies finally got their noses in front after 78 minutes following yet another penetrating run by Hepburn. This time it paid off as the ball found its way to Higgins with his back to goal. He turned smartly and drilled the ball low into the corner. At this point you would have thought – with some relief – that the Bankies would see the game out, however Perthshire had other ideas. Within four minutes it was all square again although there appeared to be some contention about the goal. The ball was launched into the box to Kelly. He appeared to control the ball with his arm, and as it fell nicely for him he fair lashed it into the net. The Bankies didn’t seem to argue point however. It looked like we were heading for a penalty shoot out until the Bankies contrived to throw it away in stoppage time. Fitzpatrick, who otherwise had a decent game, lost out to Mussa who played a harmless looking ball across the Bankies six yard box. Rowan and Morrison were in attendance. Rowan should have booted it clear but they left it to each other and Craig Smith couldn’t believe his luck as he was able to take advantage of the hesitation and slam the ball into the net. It was a horrible goal and one you do not expect to see at this level. There was no time for the Bankies to do anything and Perthshire cheered a huge win for themselves. I said a few weeks ago that the Bankies main problem seems to be consistency and it reared its ugly head again today. We seem to play well for a few weeks then throw in a duff performance. There’s no doubt that the Bankies were overall the better team today but there was not a two division gulf apparent. 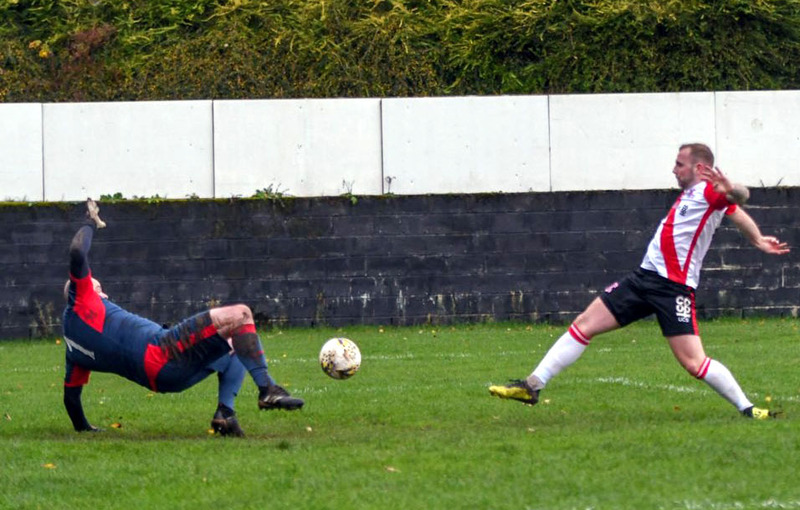 Perthshire had conceded a six and a seven in recent weeks and their defence looked incredibly shaky but the Bankies couldn’t turn their possession into chances and into goals. Perthshire will feel they didn’t deserve to lose after such a gritty performance, but for the Bankies the cups are the best avenue for silverware and yet again we have disappointed in this tournament. Personally, despite it being an awful afternoon, I can’t be too despondent. The overall direction of travel is positive but the players will have to respond to this next week at Cambuslang. It’s OK to take one step back as long as you take two steps forward.